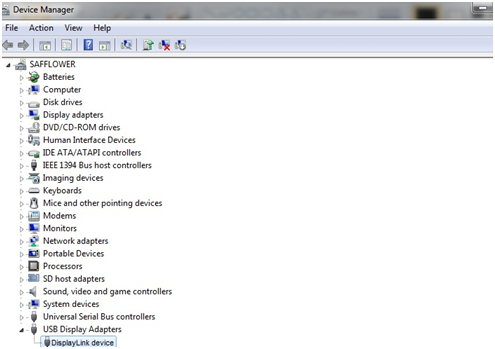 If the DisplayLink device is not appearing in device manager, the wireless to wired driver is not working correctly and the problem is outside the DisplayLink technology. Please note that some of these products are no longer produced, and the latest wireless drivers support no later than Windows 7. This means they cannot be used on Windows 8 or later operating systems.